LOS ANGELES (AP) — In the first investigation of its kind, federal transportation officials are reviewing whether Asiana Airlines failed to meet legal obligations to help the families of passengers after one of its planes crashed at San Francisco International Airport. Three people died and dozens were injured when Asiana Flight 214 clipped a seawall while landing July 6 following a trip from South Korea, where the airline is based. Under U.S. law, Asiana was required to provide a range of services to family members of the 291 passengers, from the prompt posting of a toll-free number to gather and distribute information, to providing transportation and lodging so family members can comfort injured loved ones. Congress created the rules in the late 1990s following crashes where airlines were roundly criticized for ignoring family members. However, the government rarely audits the plans to check whether airlines can deliver the assurances they make on paper, and an Associated Press review of documents filed by two dozen foreign airlines found cases in which carriers did not update their plans. Asiana's plan was last updated in 2004. After the crash, problems with the airline's response were almost immediately apparent. Staff with the National Transportation Safety Board, which helps coordinate the "family assistance" response after major crashes, quickly raised concerns with counterparts at the U.S. Department of Transportation and presented additional evidence of problems about three weeks later, said Paul Sledzik, director of the board's Transportation Disaster Assistance Division. Asiana spokeswoman Lee Hyomin declined to discuss the airline's family assistance plan, other than to say that Asiana publicized toll-free numbers in the U.S., Korea and China and used emails and phone calls to communicate with the families of passengers. Citing the ongoing investigation, both the DOT and Sledzik declined to detail specifics. A review by the AP of the "family assistance plan" Asiana filed with the government showed the airline did not keep several important assurances, including that it would keep its emergency contact information current and post a public information number within an hour. 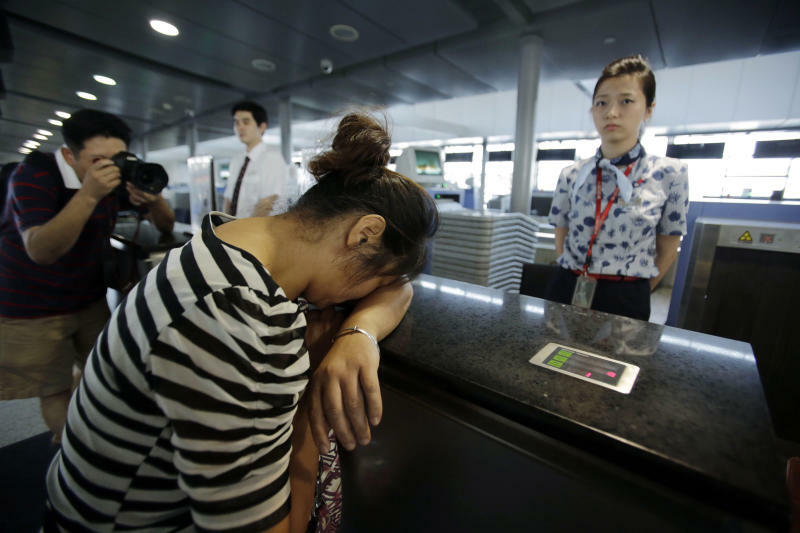 The first record AP found of a publicly circulated number was just over three hours after the crash, but that was to an automated Asiana reservations line. The following day, the airline posted a different number, which it then changed several days later. "Imagine the panic of a family member who realizes their loved one was on Asiana calling each hospital, calling the airport, calling anyone they can," said Robert A. Jensen, CEO of Kenyon International Emergency Services, which has contracts with hundreds of airlines to help after a crash. The day after the accident, the NTSB called Jensen to ask if Kenyon was assisting the airline. The answer was no; Asiana had dropped the firm in 2008 and apparently did not sign up a substitute. The airline also promised the NTSB a list of emergency contact names and numbers for "key management officials." The safety board said that information in Asiana's plan was not current, and that the airline had ignored a request in June 2012 for an update. Attorney Michael Verna represents passengers and family members who are suing the South Korean airline. One client, Hector Machorro, was waiting at the airport for the arrival of his wife and young son. After the crash, he was taken to an airport lounge where he waited "for hours not getting any information," Verna said, despite the requirement that airlines provide families with timely updates on passengers. Machorro finally got word from his wife, who called his cellphone from San Francisco General Hospital, where she and their 8-year-old son were being treated for bruising. It wasn't until several days later that Asiana called Machorro, according to Verna, and then the airline's representative asked only about his son. In looking at Asiana's performance, the AP reviewed the plans of other foreign airlines and found instances of outdated information, as well as the failure to file required updates. Many of the documents were just a few pages long, and contained not much beyond a list of assurances that the U.S. government has little way of knowing whether an airline can keep. For example, Malaysia Airlines last updated its plan in 2000 and did not file a required addendum in 2004, after Congress updated family assistance requirements. The DOT was unaware of this until an inquiry from AP. Malaysia's last plan on file lists Kenyon as its emergency services provider, but that is no longer true. When AP pointed out the lack of an updated plan, DOT spokesman Bill Mosley said the agency was giving Malaysia Airlines 21 days to refile, which on Tuesday he said it had done. The airline declined comment. Asiana's case is the first time in 10 major accidents covered since U.S. family assistance laws were passed that the NTSB had relayed concerns to regulators at the DOT, and the first time the agency has investigated. "In every past instance, it was clear that the carrier was complying, so our process was to go no further," DOT spokesman Mosley wrote in response to emailed questions. Airlines face up to a $27,500 penalty for each family assistance law violation. Associated Press writer Hyung-jin Kim in Seoul, South Korea, and news researcher Barbara Sambriski in New York contributed to this report.